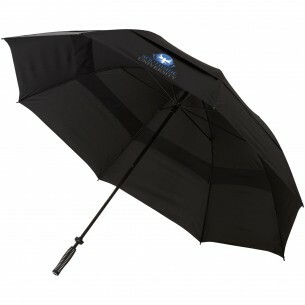 The 32' Marice Vented Storm Umbrella is a strong umbrella personalised with your brand messaging and designed to put up with strong gusts of wind. 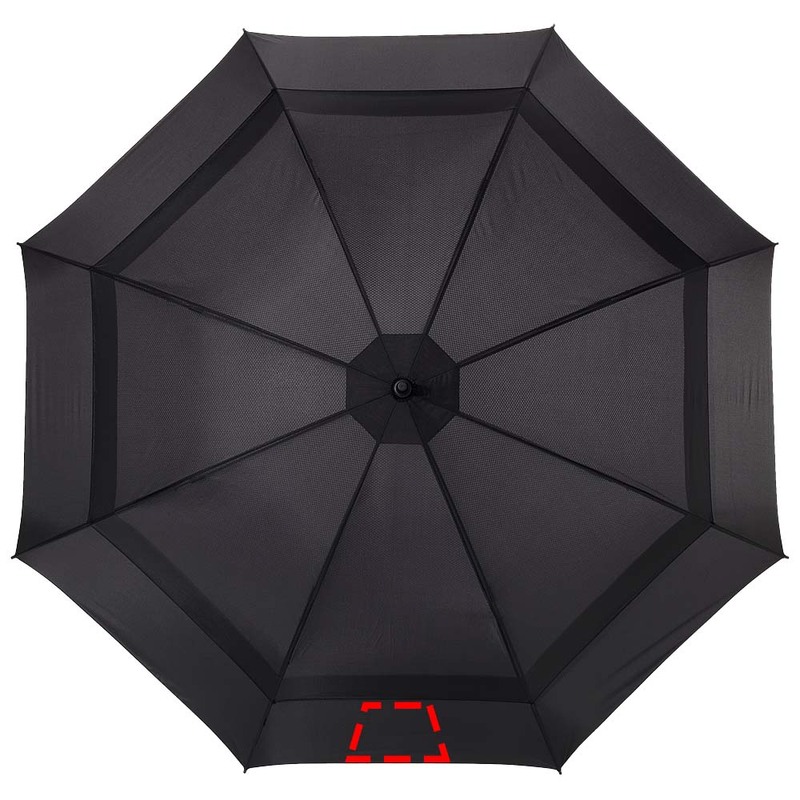 The large umbrella comes with a pongee polyester canopy, and its special construction means it does not turn inside out in the wind. It is lightweight, strong and stylish, and it comes with a carry case that has a shoulder strap.